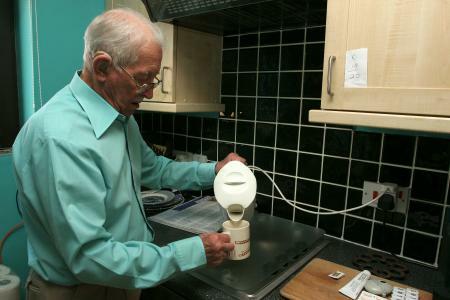 Most people over the age of 85 are able to remain living independently in their own homes in Peterborough. There are lots of things you can do remain living independently in the community for as long as possible. This section provides details of support that is available to help you do this. 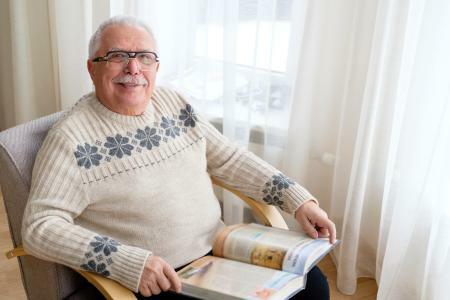 Many people move to a more suitable home as they get older, so they are able to stay independent for life. You can find out more on the Housing Options page. 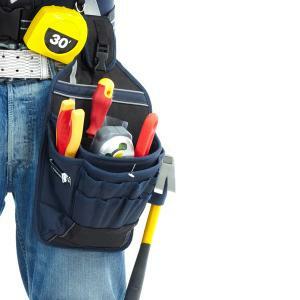 Care and Repair is a Home Improvement Agency within Peterborough City Council. It assists older, vulnerable and disabled (adults and children) to repair, maintain and adapt their homes. This enables independent living and ensures people's homes are warm and safe. The Care and Repair Team also deliver aids and adaptations that help to prevent falls and accidents in the home. You can find more information on getting support to stay independent in your own home on the Care and Repair page. The council runs a Handy Person Scheme. The handyperson scheme offers assistance to households solely occupied by vulnerable, older and/or disabled residents. This service is to maintain, repair and to assist people to continue to live independently in their home and is mainly for small non-urgent repairs. There are a range of organisations who can help you with household tasks. You can search for ‘home care providers’ and ‘domestic support’ in the category lists on this page. Our hot meals service, provided by ICare, can a deliver a daily hot meal and dessert to people in their own homes, all year round between 12 noon and 2 pm. We can also arrange to supply you with frozen meals and a microwave oven if needed. Anyone who lives in Peterborough can apply. Additional services are a home shopping service and a sandwich pack delivered with the hot meal ready for tea time. You can find out more on ICare's website. LEAP (Local Energy Advice Programme) is a new free energy and money saving advice service. 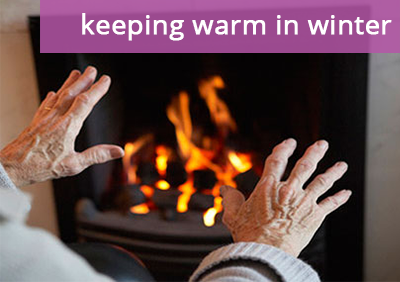 LEAP can help you to save money and to keep your home warm and cosy. If you were born on or before 5 January 1953, you may be eligible for between £100 to £300 in winter fuel payments. There may be help from the government for energy efficiency and fuel poverty, through a project called Eco, which is accessed through LEAP. Further information on grants available from Peterborough City Council can be found on the Care and Repair page. Peterborough City Council’s Care and Repair team aims to prevent falls, accidents and improve the home environment. Much of this work involves adapting people’s homes, for example installing grab rails, ramps, stair lifts and even building extensions. You can find out about equipment on our Equipment and Adaptations page. You may wish to visit AskSara, an independent website that provides useful guidance on products and ideas which may help you complete tasks around your home. Peterborough’s new Safe+Well Service, provided by NRS Healthcare, supports local residents who may be older, disabled, recently discharged from hospital (or caring for someone that is) to find ‘daily living aids’ to help with everyday activities and stay independent. The new Safe+Well service intends to provide a one-stop solution which offers people the opportunity to buy equipment to support them in activities around the home and personal care tasks, such as commodes, walking sticks, kitchen trolleys and bathing equipment. Contact Safe+Well on 01480 415719 or for more information or visit www.safeandwell.co.uk/cambridgeshire. Technology Enabled Care covers a wide variety of equipment, gadgets and devices, both simple and complex that can promote your independence and enable you to live at home for longer. You can find out more on our Technology Enabled Care page. Reablement is a programme of short term support tailored to your individual needs, to help you (re)learn the skills needed for daily living and reduce the amount of care and support you need. Reablement is about helping people to do things for themselves rather than having things done for them. Reablement programmes can last from as little as a few days to a maximum of six weeks. 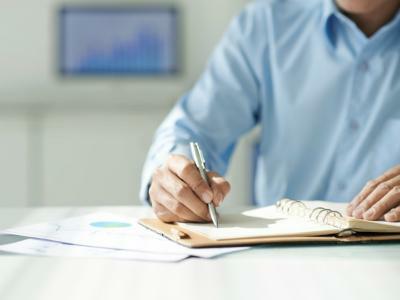 The service is focused on helping you achieve goals that you set yourself, in conjunction with the Reablement team, to maintain your independence. As well as the satisfaction people gain from being able to do more things for themselves, input from the reablement service is likely to lead to less need for longer term care and support and often no ongoing care is required. You can find more information on our Reablement page. Older people using or planning to use home care services, and their carers. View the full NICE guideline on home care. If you struggle to carry out everyday tasks, you can get support to help you do things easily and safely, which may help you to live independently. We can give information and advice to help you find the care and support that you need. We may be able to give you equipment or show you activities that will improve your ability, known as reablement. If, after trying these options, you still feel that you need more support we can consider a social care assessment. This is a simple discussion to find out how much care and support you may need and what options are available to you. depending on your circumstances, there may be a charge for your support. The aim of an assessment is to get a full picture of your needs, goals and outcomes of support you may need. The law says that we must consider other things that could contribute to your outcomes. This might mean offering you a period of reablement, or referring you to a voluntary sector organisation. We are also required to consider the wider needs of your family. To request a social care assessment, please contact the Adult Early Help Team on 01733 747474. If you would prefer to complete a self-assessment we will offer you support to do so. The information gained from your social care assessment will help to make a decision on which services are required to meet your needs to maintain your independence.